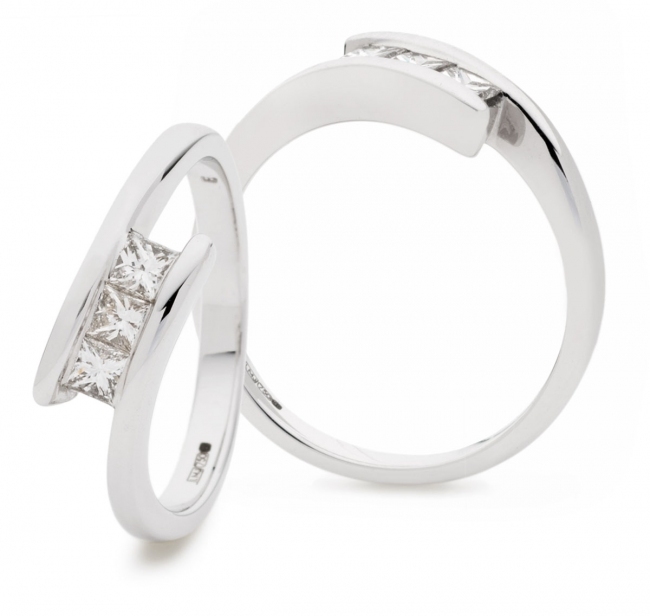 Diamond trilogy ring featuring three princess cut diamonds in a stylish channel setting. This is a high quality piece featuring 0.33ct of high grade natural diamonds crafted in solid 18k white gold. Delivered free with a luxury wooden gift box, authenticity certificate and a full 12 month guarantee.